The lovely thing about living in Bartlesville is that it's only 3 hours away from Kansas City! So Ryan & I pop home whenever we need to. 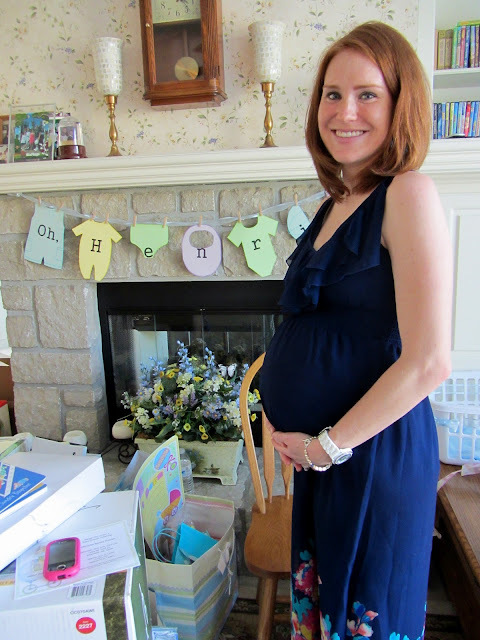 It makes it easy to go to say... one of my best friend's baby shower! 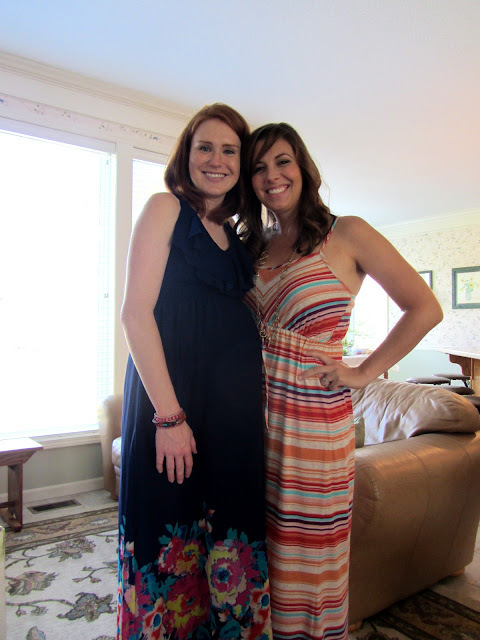 Michelle & I have known each other since freshman year of college when we met pledging Pi Beta Phi. We were instant friends and have been there for each other ever since. 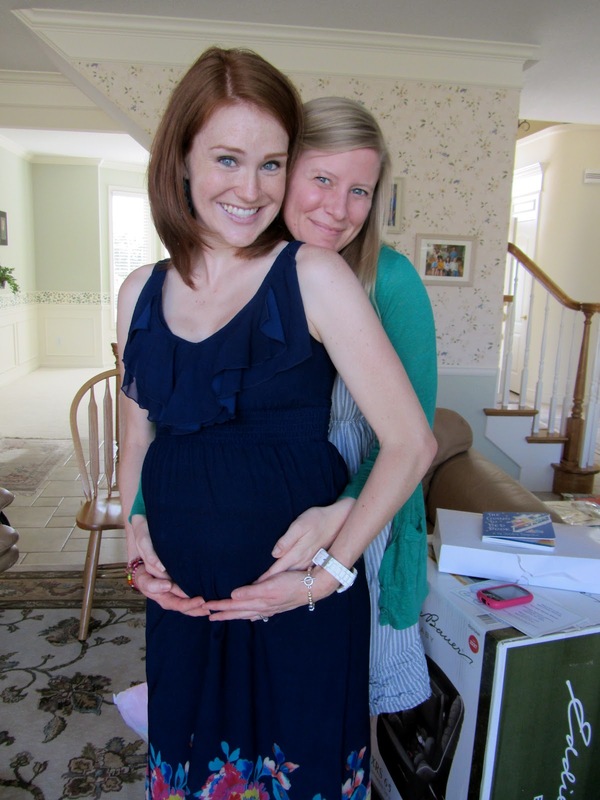 I couldn't be more excited that she & her husband, David, are welcoming their first baby in September. Michelle's mom was throwing her a shower and there was no way I was going to miss it. It was the cutest shower. 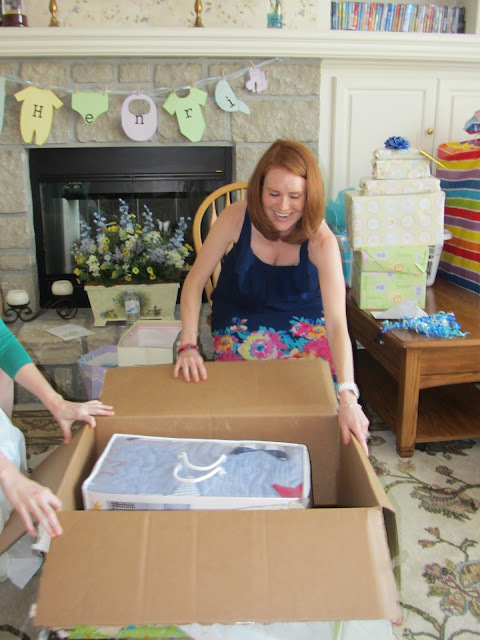 She got lots of fun gifts that really helped prepare them for their up coming bundle of joy. This was her opening up the bedding Ryan & I bought them. I figured one of the first things she would want to get together in the nursery would be the crib! I'm sad I didn't take more pictures of the setup because it was so cute. This was the only food picture I got, but how amazing is this cupcake?? It tasted even better! I feel like I look crazy in all these pictures but I'm still posting them for Michelle. Love you girl! All pledge sisters in Pi Phi. Is she not tiny or what? She's barely gained any weight. I can not wait to meet their little man, Henri, this coming September. You better believe I will be there! You attend more baby showers than anyone I know!